World's first Hologram Arcade Machines! A specialist in drone entertainment, Dronisos uses autonomous drone swarm software for different types of performances and show, and automatic inspections. 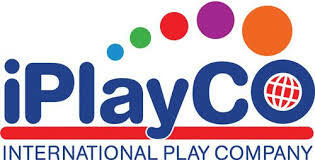 Innovative Leisure supplies an extensive range of adventure play products suitable for a wide variety of attractions. 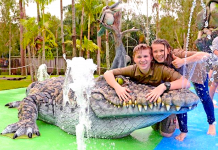 These include mobile and stationary climbing walls, Sky Trail high ropes courses, Sky Tykes low ropes courses and water attractions - Water Wars and Downpour Derby. Alterface is a world leader in interactive ride technology. They develop media-based attractions for the world's theme parks and attractions. 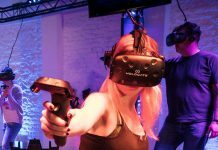 Grow your entertainment business with the premier free-roam virtual reality package. Start or expand your location-based entertainment business with the only globally tried-and-tested free-roam, multiplayer VR platform. Attract a new, affluent, influential millennial audience who value unique social experiences. We provide audio & multimedia solutions to cultural sites, attractions & sports venues. We create multilingual content which we publish to multiple platforms, including apps & our own Android devices. From immersive audio through to interactive multimedia including VR/AR, we can offer exceptional visitor experiences. Bob Cooney is an expert in location-based entertainment with nearly 30 years of experience on the bleeding edge of innovation. Valo Motion are creators of the Valo Jump™ and Valo Climb™, using innovative technology and augmented reality to get people exercising and having fun.